The Jordan Brand are looking to start the year with a bang as they announced the release of the Jordan Evolution ’85 that is set to hit the shelves this January. The Jordan Evolution ’85, which is a tribute to Michael Jordan’s entry in the NBA in 1985 that revolutionized the game of basketball, is not your typical Jordan retro shoes because it offers a new design with its molded heel cup, midfoot straps, and clean clines. Miami Heat star Dwyane Wade wore the shoes in a game last December and the high-flying guard said that the performance-based shoe has a comfortable feel and definitely helped him a lot inside the hardcourt. The new Jordan Brand shoe will come in three different colourways this month: the Black/Varsity Red-White, the White/Metallic Silver-Stealth-Obsidian, and the White/Black-Metallic Silver. 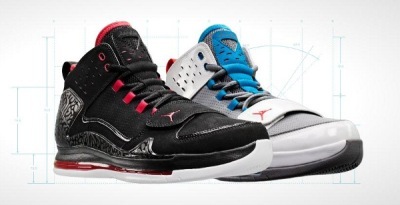 Three pleasing colourways for a unique Jordan Shoes, you can’t ask for more so standby for its release and grab one immediately.